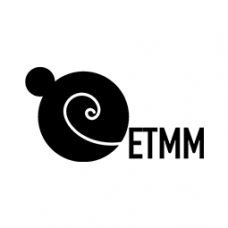 ETMM12 WILL TAKE PLACE IN MONTPELLIER (LA GRANDE-MOTTE), FRANCE, SEPTEMBER 26-28, 2018. The ETMM series of conferences was initiated in 1990, with the first conference being held in Dubrovnik, under the chairmanship of Prof. Wolfgang Rodi. The goal was to create a highly focused forum at which academic and industrial researchers would be given the opportunity to present and discuss new developments in modelling and measurement of turbulent flows, including combustion and multi-phase transport of immediate relevance to practical applications in fluid-flow engineering and related areas. The background against which ETMM was established was one characterized by rapid developments in the area of statistical (RANS) turbulence modeling and their exploitation in commercial and industrial CFD codes. At the same time, sophisticated experimental techniques, such as 3D LDV, time-resolving PIV and PLIF, were becoming widely available in the form of commercially produced systems, and entered the industrial R&D environment. This strengthening link between academic research and industrial practice also motivated the foundation of the ERCOFTAC organisation, in 1998, intended to establish itself as the premier European network for academic and industrial researchers in flow, turbulence and combustion. Thematic fields Modelling, simulation and analysis methods for turbulent flows with heat and mass transfer, combustion and multiphase transport. Experimental techniques for flow, turbulence, combustion and environmental processes. Innovative application of modelling, simulation and experiments to unresolved issues in energy, health and the environment. Deadline for Abstract Submission 16.02.2018.